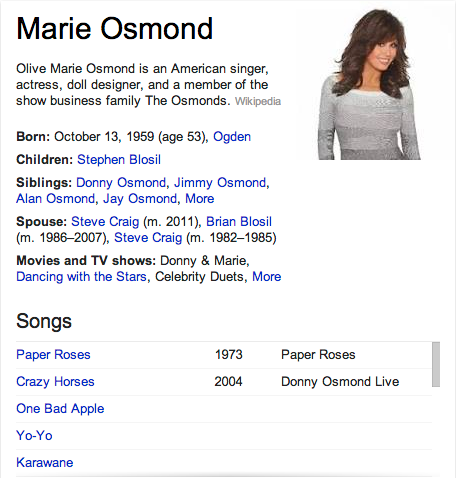 Marie Osmond has been a household acting and singing name for many years. She began as an actor/singer on the hit show The Donnie and Marie show in the 70’s. And has come full circle with the Donnie & Marie Show in Las Vegas today, with a million successful endeavors in between. She is a devout Mormon and a very popular personality in the acting world.